Wednesday Night Posting with Latest on Mumbai Lakes and Mumbai Forecast and also Maharashtra weather...An UAC likely on 27th in Bay...See Current Weather Page.. 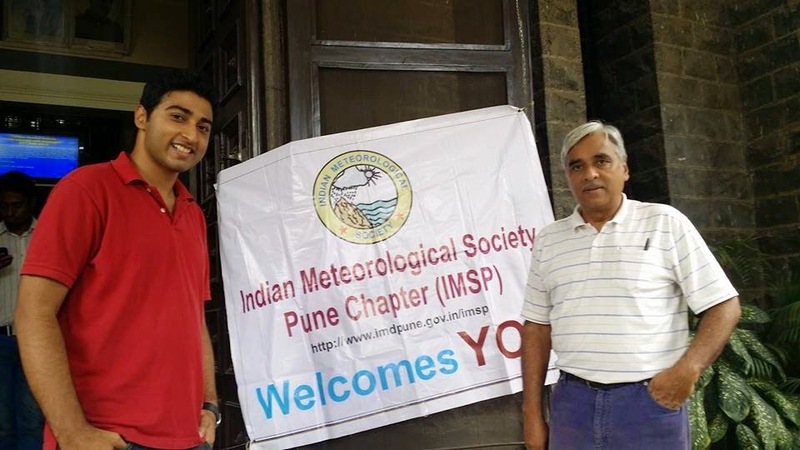 Seven of us from Vagaires, Rajesh, Abhijit, Pradeep, Punnet, Salil, Junaid and Kunnal visited the IMD Pune on 23rd June 2014.The visit, hosted by the Indian Meteorological Society (IMS) under the guidance of Shri Sikandar Jamadar, Secretary, IMS Pune Chapter, was a memorable and learning experience. Welcomed by Sikandarji, we first went to the office of Mr. B. Mokhopadhaya, DDGM, Climatology. Conversing with Dr.Mokhopadhaya, was like going through an encyclopaedia. His vast knowledge on varied topics, besides Weather, was captivating and had us all listening. The Monsoon axis currently in the North and subsequent a ridge sitting in Central India was discussed, with the delayed Tibetan Anti Cyclone showing a South East position. Patiently he answered and explained all queries on meteorology from the formation and structure of a cyclone to the upper level ridges. After an two hour interesting session with Dr.Mokhopadhaya, we were taken to the Calibration section, and saw how the various instruments and meters are calibrated by the IMD. All measuring meters and instruments on IMD stations need to be calibrated here before use. Interesting was the "Wind Tunnel" , used for the calibrating the anemometers. 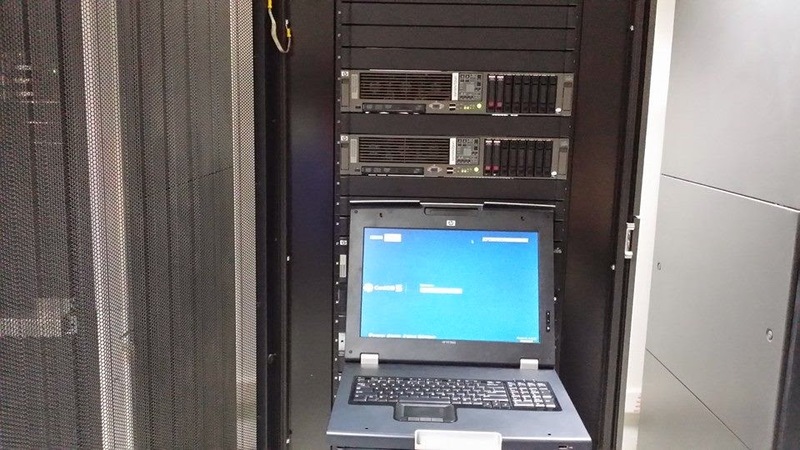 The National Data Centre was where all the Data is collected from the Sub Continent and is stored in Super servers, at 14c room temperature.The person in-charge of managing the server was kind enough to show us the servers. Further, he also explained us how the Data is collected and then distributed, and then posted on various weather websites etc. 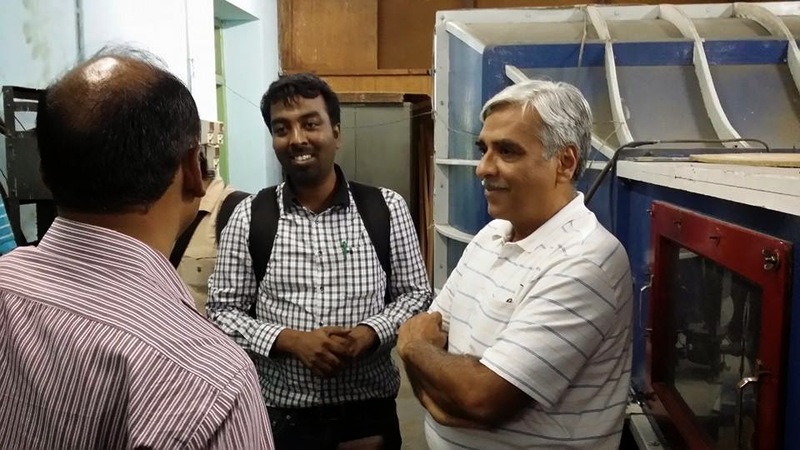 The NDC chief, Dr. Krishnakumar, was answering a whole lot of queries from Rainfall Data of remote places (Asked by who else but our Rainman Pradeep) to my query of certain temperature corrections that could be needed in the all time records . 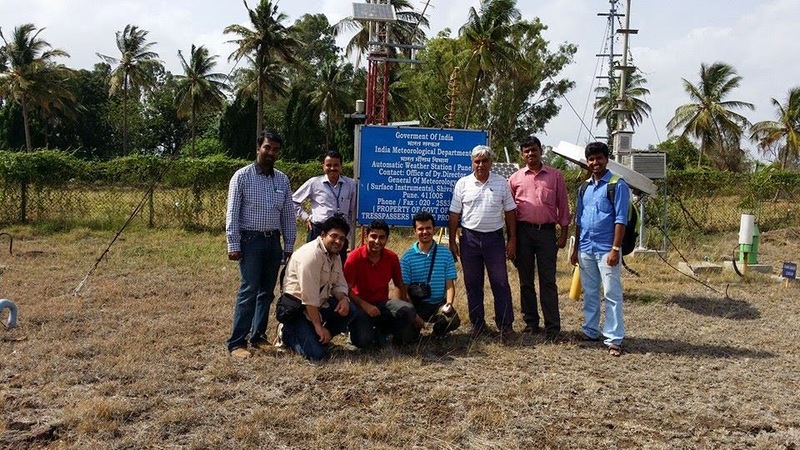 We then visited the Class I weather Station (pune) where the observer expalined how the Surface temperature was measured in detail. He also explained the dry and wet bulb temperature. 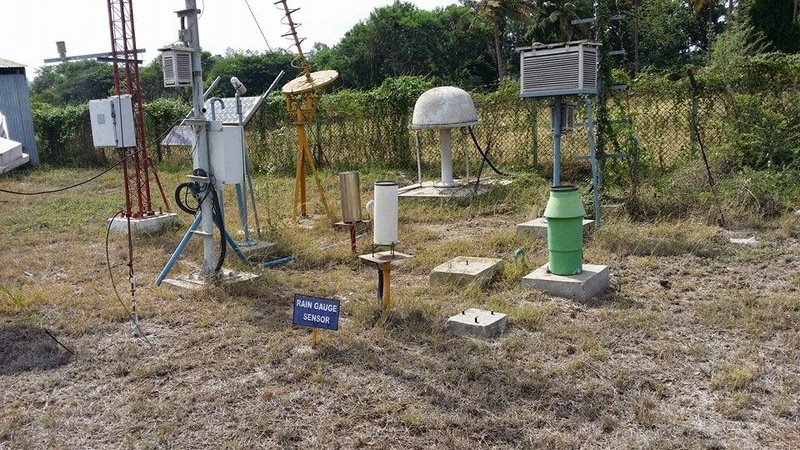 New additions like Rain Water Pollutant measuring and Checking instrument was shown here. Mrs Sunitha Devi S, Scientist, Weather Forecasting explained how the computer charts were super imposed in satellite images and the models used for analysing. The explanation meant a lot to us as it visually showed the cloud formations within the troughs and contours. The old proven method of hand drawn charts is a thing of the past now. Sikandar ji showed and explained the intricacies of Short Term, Medium Term and Long Term Forecasting. Parameters of South West Monsoon and North East Monsoon were shown and discussed. Several Dynamic and Empirical Models were discussed. Methods of parameter importance from the old proven Gowerikar Method (to which i still swear by) to the latest shortened method with just 5/6 parameters and the pros and cons were debated. The meet end with a photo session with Salil and Kunnal in action. We are thankful to the hospitality shown by all the IMD officials we met, answering our queries and explaining everything with patience. Nice to know you and vagaries family visited IMD. I was wondering why no forecast at vagaries since 2-3 days. I know now the reason. I hope knowledge gained from there will result in more accurate forecast at vagaries. And IMD and vagaries work as good team. Wow nice but the weather seems to be getting worse day by day in mumbai now we are able to see blue skies in morning and afternoon and it is windy winds from west to southwest but no rain after 16th june!! when do we expect rain to come back? Hrishikesh/Shripad/Ron/Sam..All were invited through this medium almost 45 days ago...I would have been really pleased if all had come. Would have liked it if more of us Vagarians get to know more and get this sort of rare experiance...anyway...next time. 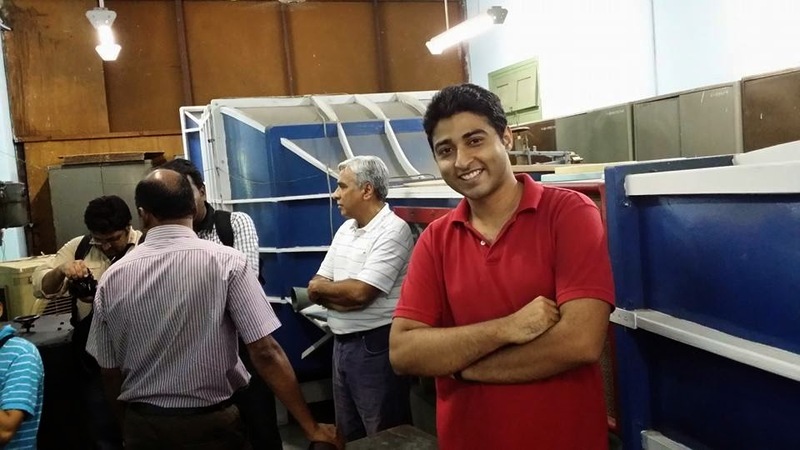 Sikandar Jamadar, Secretary, IMS Pune Chapter: Thanks for the kind words and showing us this valued organisation and establishment. I thank all the members of the staff and IMS for sparing their time in showing us and the excellent arrangements. Thank You for the invitation to Vagaries. I am yash from New delhi and a fianncial analyst by proffession. Weather watch has been my hobby from childhood and i am very keen to do my further education( Phd) in meteorology and climatology of the world. That said, i am not having any degree, watsoever, concerning with meteorology. I have been following Vagaries and IndianWeatherman to keep a watch on Indian weather and gain some knowledge. It will be my pleasure if someone can explain how can i make a transition from my present background ( Engineer & MBA) to Phd In meteorology and climatology. Nice to see such useful interactions between IMD team and Vagaries team. so the teams gettin stroger super rajesh sir... any updates on rains in idukki sir? hope we recive little rain everyday (atleast 5mm per day) for the month of june n july... wat are ur predictions sir? 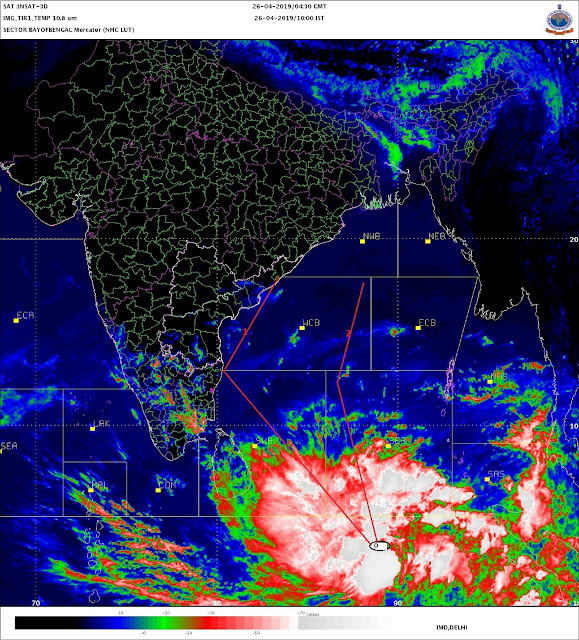 Prabhu Archana:Do not see a major change i rainfall pattern in Kerala till 4th July..continuing with current trend. Hrishikesh: Difficult to tell about winter WDs now..
Yashwant: to get a grasp on met. 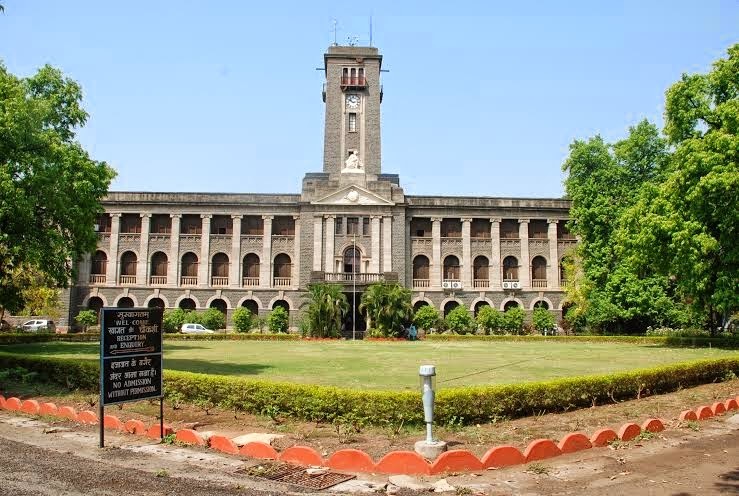 it is better to take up a course in atm sciences or met from some university. taking it seriously need proper study and systematic follow up..
Gnjan: SWM in our region s getting into a seriuos situation..we have been told of the ridge stubbornly seated in the peninsula and the axis position...but, things seem to be getting "normal" n July..though backlog will not be recovered.